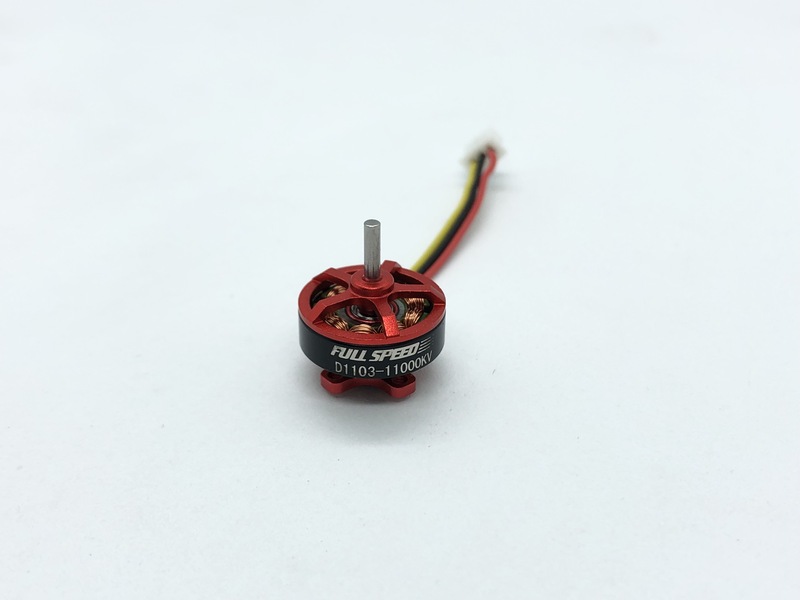 FullSpeedRC released 2 versions of their latest quad: the TinyLeader HD and non HD. I did a detailed review of all important parts of the drone, I hope it will be usefull if you want to have an idea in order to acquire the TinyLeader. In the past FullSpeedRC has done high quality quad, flight stacks, etc. For their first jump into the world of the brushless tiny whoop, we got also a good drone with HIGH quality parts. The HD version is right now the only one with stock part to be able to record HD flights (the quality is excellent), and it is pretty perfect. The Caddx Turtle 2 is a big plus, the only drawback in consequence is the weight of the quad. Each duct are fixed with 3 screws, so it is well maintained. I did few crash and nothing break right now. It is pretty efficient and works well with 2S LIPO (quite always the same size), and it can be easily change with 2 screws. The canopy is in TPU and well designed. But I think the electronic is not super well protected but it could be the cost to avoid high temperature due to the VTX (up to 600 mw). 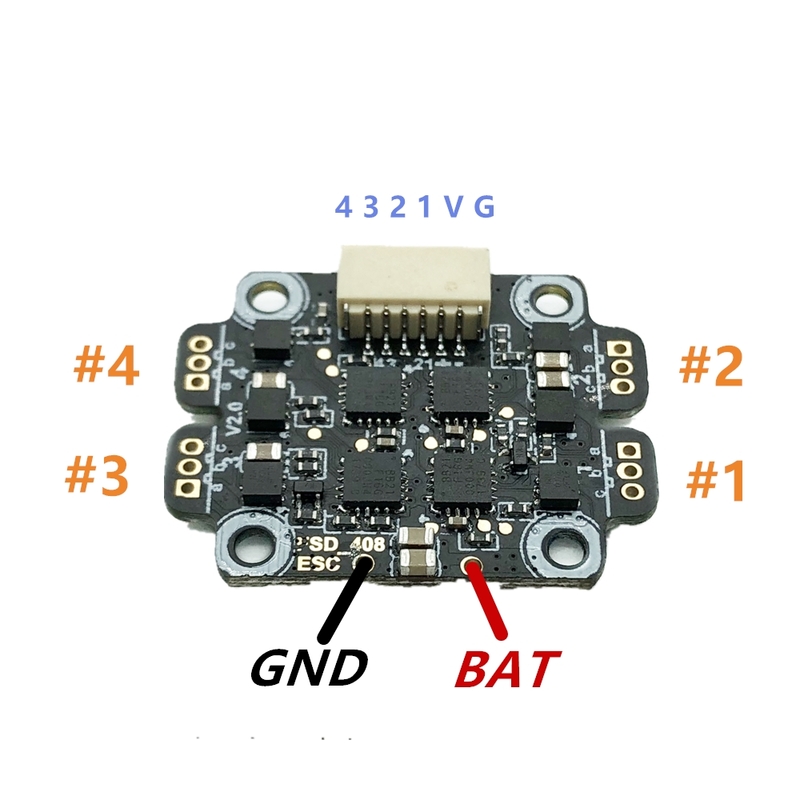 It is the FullSpeed FSD408 board for 2/3S LIPO, 20mm x 20mm x 5mm with 16x16mm mounting hole. 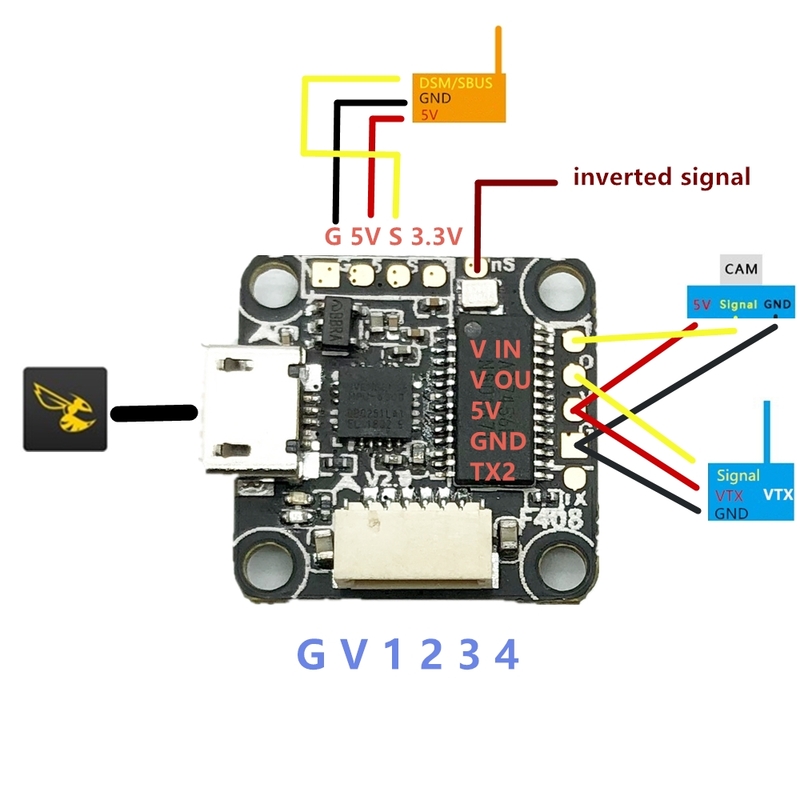 It is an F4 board (STM32 F411) with BetaFlight OSD of course. It is the FullSpeed FSD408 ESC board for 1/3S LIPO, 20mm x 25mm x 5mm with 16x16mm mounting hole. The firmware is BLHELI_S abd can handle up to 8A. Motors are 1103/11000KV from FullSpeed directly. 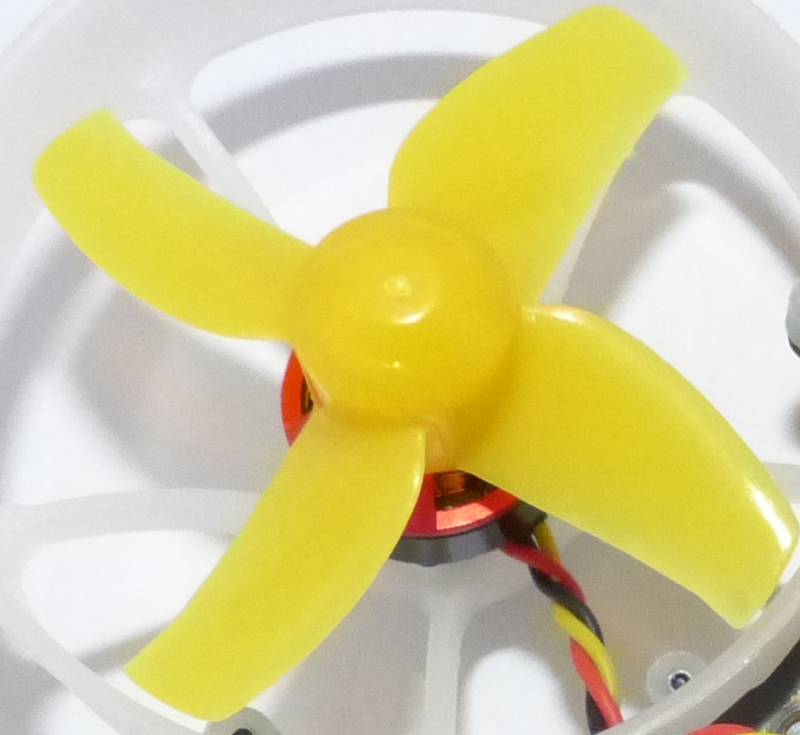 It is really a good motor too, durable and the same one that we could find on the Beta75X. The camera for the HD version is the Caddx Turtle V2. And well it is perfect lol. I tried it by night in a LED race track or during the day, the quality is always good and the DVR is excellent. I have not noticed no latency that's could by annoying. Moreover you can adjust the angle of the camera with the canopy so it is perfect for many pilots. It is the rolls royce of the VTX in a tiny whoop. You can choose between Pit/25/100/200/400/600 mW with IRC Tramp. The FrSky receiver that I got works only in D8 mode but I have not observed any problem or fail safe with it. It seems that the box doesn't contain any things like we could find in other quad (LIPO, props, etc). The HD versions costs 175$ and the non HD version is 125$, if you choose the FrSky receiver. Is it expensive ? Probably if the components of the quad was bad but it is clearly not the case. Out of the box, the flight is really good, no need to tune the PID to have a good feeling with it. We can really notice the difference with the HD version. The weight introduced by the caddx turtle has some impact on the flight but it is still good. 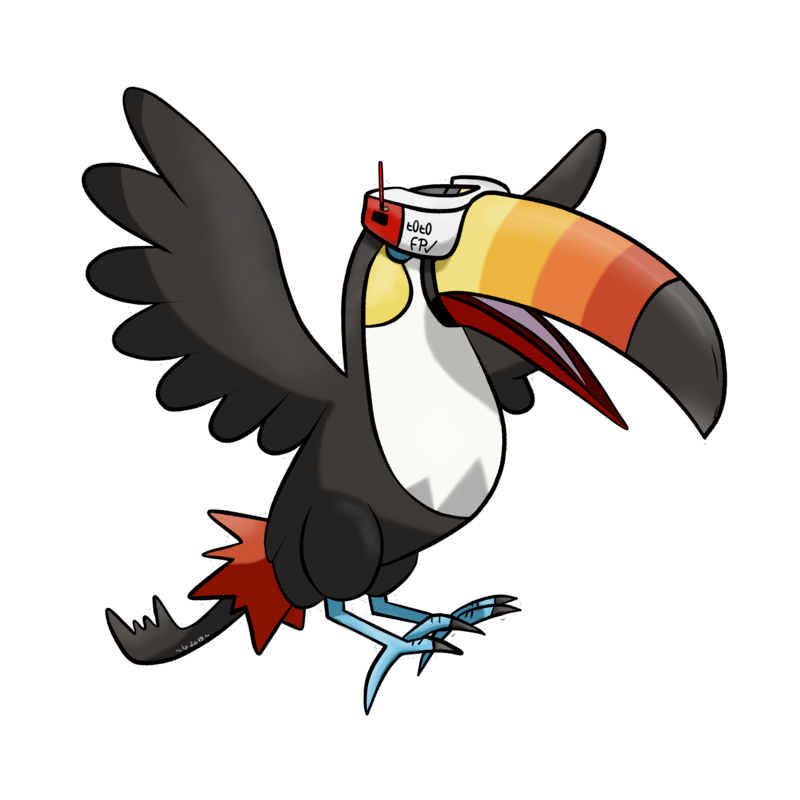 Ok so my advice if you want to get one is: YES. Go, buy it ! You will not be disapointed and if you have any questions you could ask in the TinyLeader group in Facebook.